This commemoration will mean a lot to our esteemed Sea Cadets but in terms of the war, the Battle did not make a huge impact on the town. The role of the Royal Navy in World War I also seems paradoxical. 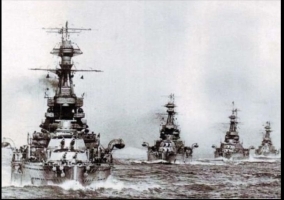 In 1914, one of the major causes of tension was the ‘Race’ to build revolutionary battleships called ‘Dreadnoughts’. However, the anticipated decisive naval battle did not materialise. Although the Navy was regarded as the ‘Senior Service’, only 50 of 689 volunteers from Tewkesbury joined the Navy and, of those who did, half were deployed into the Royal Naval Division – as infantrymen. Only four Tewkesburians lost their lives serving with the Navy and only one of those was killed in naval action. None was killed at Jutland. Frederick Raggatt died of illness in 1919. 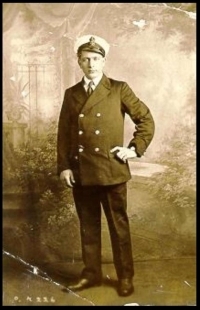 George Eagles was killed in Gallipoli as an infantryman with the RMD. As far as we know, there were only a few Tewkesbury participants; Warrant Electrician T. Brotheridge was “not in the thick” of the battle; and the most graphic recall from Jesse Collins on HMS Colossus who wrote to his Holy Trinity Headmaster: “we saw several German battleships and cruisers sinking... (we are) safe and sound” and concluding that the “British Navy is still alive”. The Record hailed it as “Probably the Greatest Naval Battle in History”. 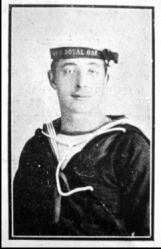 The Register was a little more sober when, a week later, it claimed a “Great Fight at Sea..... Enemy driven home”. The paradox lay in the fact that, although it was technically a victory for the Germans because they destroyed more ships, the enemy had been “driven home” and never ventured out of port again. That situation played a crucial role in forcing the German Government to halt the war in November 1918.